Ticketmaster and Livenation have teamed up with four independent record labels to offer a free compilation featuring ten bands who will be performing across this weekend’s Download festival in Donington. Overseen by promoter Andy Copping and available to download instantly, the album consists of tracks from the legendary Earache Records, Eleven Seven Music, Mascot Label Group and Napalm Records. Get your hands on some free music, Download festival style! 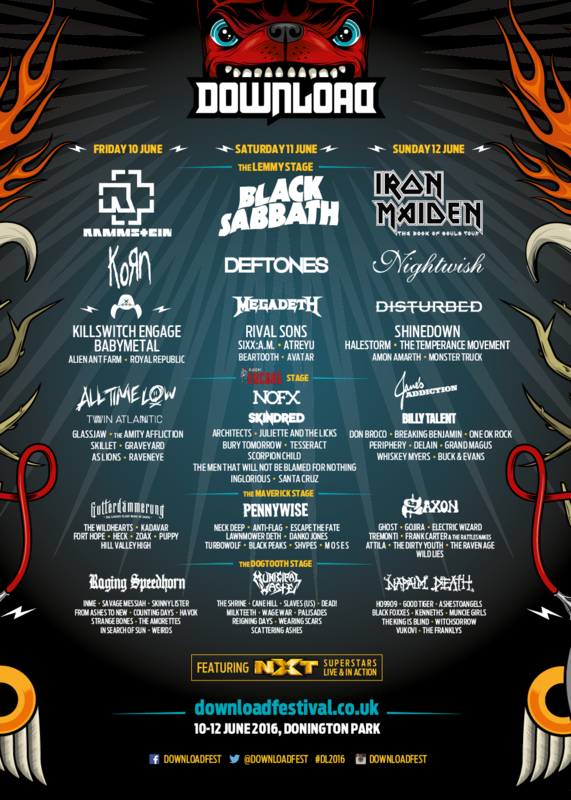 This year’s Download festival takes place at Donington Park on the 10th – 12th of June. Iron Maiden will close the festival with a headline appearance on the 12th, the band’s only confirmed UK appearance for 2016.